Classic Analog LPs - items 375 to 400 Shop MyMusicFix!! 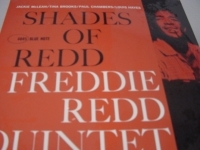 "Freddie Redd, Shades Of Redd"
Factory Sealed Classic Analog LP Pressing. The nicest thing you can do for your stylus and ears. The way music was meant to be heard. Out of Print forever! Tracks Include: "Golden Earrings" "Hang on to a Dream" "Never Too Far" "Scarlet Ribbons" "You Upset the Grace of Living" "Can You Travel in the Dark Alone" "Nature Boy" "Tiffany Rings" "Me About You" "I Watch the Moon." "Gary Wright, The Light Of Smiles"
Classic Analog LP Pressing w/ small cut out in cover. 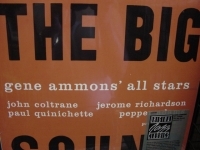 Tracks Include: "Water Sign" "Time Machine" "I Am The Sky" "Who Am I" "Silent Fury" "Phantom Writer" "The Light Of Smiles" "I'm Alright" "Empty Inside" "Are You Weepin'" "Child Of Light"
"Gene Ammon w John Coltrane, The Big Sound"
"Gene Ammons All Stars, Jammin' With Gene"
Factory Sealed Classic Analog LP Pressing. The nicest thing you can do for your stylus and ears. The way music was meant to be heard. Out of Print forever! 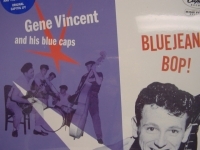 Tracks Include: "Blue Gene" "Scamperin'" "Blue Greens and Beans" "Hip Tip." 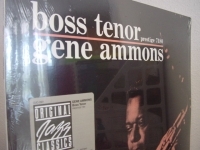 GENE AMMONS - BOSS TENOR - 140 Gram pressing At Prestige, Gene Ammons basically did two types of sessions: a jamming situation with several other all-star horns; or a quartet format featuring a top-flight rhythm section behind him. 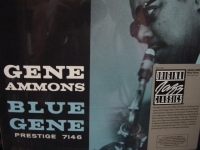 Whatever the setting, "Jug" as he was nicknamed, displayed that dominant trait held in common with other giants in the grand history of his chosen instrument, the tenor saxophone-the ability to tell a story. Here are the blues, the ballads, Charlie Parker's "Confirmation," and Eddie Heywood's "Canadian Sunset." The latter had Been a hit for its pianist-composer and was again for Ammons. 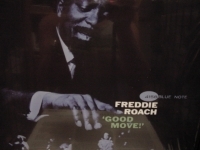 An added feature here is the addition of jazz-oriented conga player, Ray Barretto, to the piano, bass, and drums of Tommy Flanagan, Doug Watkins, and Arthur Taylor. -------------------------------------------------------------------------------- Track Listings 1. Hittin' The Jug 2. Close Your Eyes 3. My Romance 4. Canadian Sunset 5. 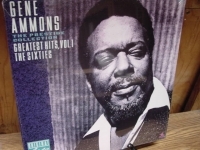 Blue Ammons 6. Confirmation 7. 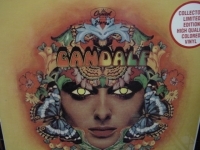 Savoy Check out Mymusicfix E-Bay Store for additional Audiophile Vinyl by hitting to view our current items up on E-Bay. 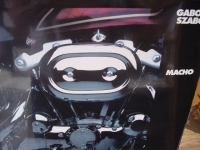 Mymusicfix2@msn.com has been told we have the best collection of Rare, Out of Print music collectibles on E-Bay. For any information of any one of these items, please call 949 454-8577 or fax us at 949 454-9972 Monday through Friday Pacific Standard Time USA SHIPPING AND PAYMENT: $7.50 via UPS Ground/Insured within Continental USA only - boxed protectively (best packaging in the business) - Alaska/ Hawaii via Priority Mail/Insured e-mail for quote. PayPal WITIH CONFIRMED SHIPPING ADDRESS or Money Order INTERNATIONAL SHIPPING AND PAYMENT: International via US Postal Service Airmail Letter/Parcel Post shipped every Wednesday morning. Must e-mail for shipping quote. PayPal WITH CONFIRMED SHIPPING ADDRESS or INSURED SHIPPING; otherwise International Money Order in U.S. Dollars JAZ LATINJAZZ FIXPICKS . 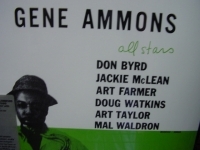 "Gene Ammons, Greatest Hits, Vol. 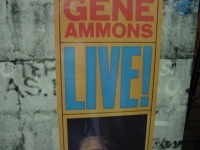 1 The Sixties"
"Gene Ammons, Live! 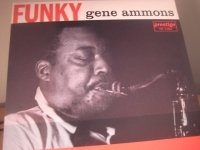 In Chicago"
"Gene Ammons, Nice An' Cool"
Factory Sealed Classic Analog LP Pressing. The nicest thing you can do for your stylus and ears. The way music was meant to be heard. Out of Print forever! Last Copy! Tracks Include: "Till There Was You" "Answer Me, My Love" "Willow Weep For Me" "Little Girl Blue" "Something I Dreamed Last Night" "Something Wonderful" "I Remember You" "Someone To Watch Over Me." 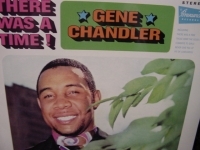 "Gene Chandler, There Was A Time"
Classic Analog LP Pressing. Tracks Include: "Those Were the Good Old Days" "Never Give You Up" "Blind Heart" "Since You've Been Gone" "Laughter To Tears" "There Was A Time" "Pit Of Loneliness" "Teacher Teacher" "Cowboys To Girls" "Fooling Around" "Lonely Avenue." 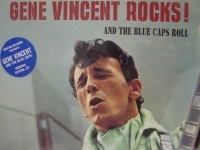 "Gene Vincent & Blue Caps"
"Gene Vincent & His Blue Caps, Blue Jean Bop"
"Gene Vincent & The Blue Caps, Rocks"
"Gene Vincent, A Record Date With Gene Vincent"
"Gene Vincent, Blue Jean Bop"
Classic Analog LP Pressing. Tracks Include: "Bluejean Bop" "Jezebel" "Who Slapped John" "Ain't She Sweet?" "I Flipped" "Waltz Of The Wind" "Jump Back,Honey,Jump Back" "That Old Gang Of Mine" "Jumps, Giggles, And Shouts" "Up A Lazy River" "Bop Street" "Peg O' My Heart". Classic Analog LP Pressing. 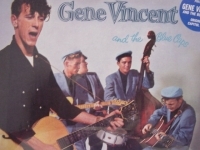 Gene jumps again with more great tunes in his fine rockin' vocal style! 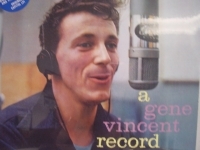 Tracks Include: "Crazy Times" "She She Little Sheila" "Darlene" "Everybody's Got A Date But Me" "Why Don't You People Learn How To Drive" "Green Back Dollar" "Big Fat Saturday Night" "Mitchiko From Tokyo" "Hot Dollar" "Accentuate The Positive" "Blue Eyes Crying In The Rain" "Pretty Pearly"
"Gene Vincent, Gene Vincent And The Blue Caps"
Classic Analog LP Pressing. Tracks Include: "Red Bluejeans And A Pony Tail" "Hold Me, Hug Me, Rock Me" "Unchained Melody" "You Told Fib" "Cat Man" "You Better Believe" "Cruisin'" "Double Talkin' Baby" "Blues Stay Away From Me" "Pink Thunderbird" "I Sure Miss You" "Pretty,Pretty Baby". 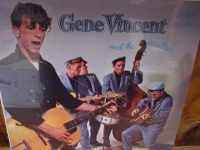 "Gene Vincent, Gene Vincent Rocks And The Blue Caps Roll"
Classic Analog LP Pressing. Tracks Include: "Brand New Beat" "By The Light Of The Silvery Moon" "You'll Never Walk Alone" "Frankie And Johnnie" "In My Dreams" "Flea Brain" "Rollin' Danny" "You Belong To Me" "Your Cheatin' Heart" "Time Will Bring You Everything" "Should I Ever love Again" "It's No Lie". 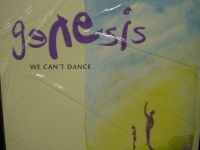 "Genesis, We Can't Dance (2 LPs)"
Classic Analog LP Pressing. Tracks Include: "No Son Of Mine" "Jesus He Knows Me" "Driving The Last Spike" "I Can't Dance" "Never A Time" "Dreaming While You Sleep" "Tell Me Why" "Living Forever" "Hold On My Heart" "Way Of The World" "Since I Lost You" "Fading Lights". 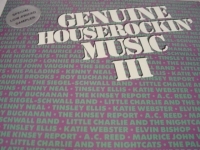 "Genuine Houserockin' Music, Various Blues Artists"